Key Difference: ‘Arthritis’, the term is used to refer to more than hundreds of different varieties of joint problems marked by symptoms like pain, swelling and stiffness. Osteoarthritis is the most common form of arthritis, which primarily affect people with serious joint injuries. Arthritis is an umbrella term which covers more than 100 different conditions or diseases that affects joints and other parts of the body. It is covered under the rheumatic disease. It is also simply known as inflammation of the joints. All different types of Arthritis have different causes and different treatments. Some of the forms of arthritis are caused due to lesser values of the cartilage tissue as compared to the normal amount. This cartilage is a flexible and connective tissue in joints. This tissue takes the impact of pressure and shock generated by movements like running and walking. Osteoarthritis is a form of Arthritis. It is caused by normal wear and tear throughout life. It generally develops slowly over time. Mostly it affects hands, knees, hips, feet and spine. It is commonly found in people of old age. This condition develops due to change in cartilage and thus affecting the working of joints. Cartilage becomes pitted, rough and brittle. To lessen the load on cartilage the underlying bones thickens and broadens. Then bony outgrows start to form at the outer edges of the joint. Finally, it leads to a stiff joint making it painful to move and inflamed sometimes. 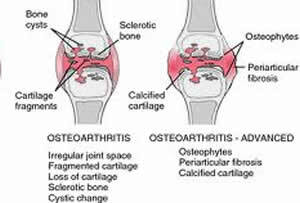 Osteoarthritis is also known as degenerative joint disease or degenerative arthritis. This condition can be developed suddenly for no specific reason or due to some secondary cause like joint damage resulted from an injury or trauma. Overweight is the main reason for development of osteoarthritis in the hips and joints of the legs. Therefore, Osteoarthritis is the most common form of Arthritis. It is important to mention that there is basically no cure for arthritis. Most of the drugs and other treatments are used to manage it. Osteoarthritis is a form of Arthritis. It is caused by normal wear and tear throughout life. It generally develops slowly over time. Change in lifestyle – includes things like eating a healthy diet, sleeping for 8 to 10 hours a night, eating foods with omega 3 fatty acids, etc. Prescription medicines -Cortisoteroids, DMARD’s, Immunosuppressants like azathioprine or cyclophosphamide may also be prescribed. Juvenile rheumatoid arthritis – intermittent fever in children, poor appetite, some blotchy rashes can appear on arms and legs. Misdirected immune system with autoimmunity (such as in rheumatoid arthritis and systemic lupus erythematosus). The specific causes of osteoarthritis are unknown, but are believed to be a result of both mechanical and molecular events in the affected joint. 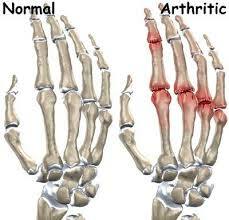 Osteoarthritis is diagnosed based on medical history, physical examination and x-rays of the affected joints.